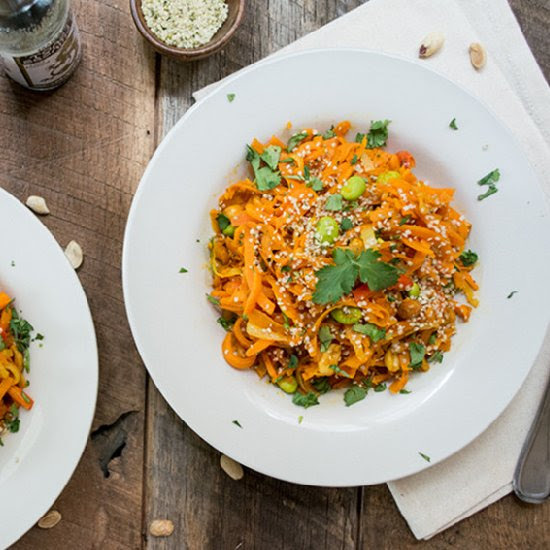 This Sundried Tomato Pesto uses a healthy, plant-based ingredient to make it ultra creamy + rich, so you can eat your pasta + feel good too. Full of Mediterranean flavors, this pasta salad is the perfect addition to any cookout or potluck menu. Chicken noodle soup gone Asian - by adding a little ginger and using Chinese egg noodles you can take this soup to a whole new level! Delicious, healthy and creamy pasta with mushrooms and mint, you'll be surprised at the ingredient used for the sauce.